Home » News Updates » YOUNG children can now watch, listen and learn with RTEjr. YOUNG children can now watch, listen and learn with RTEjr. Launched last week, the channel is available across television, radio, the internet and on an app, and will see the station increase its children’s output by up to 34 hours a day. The channel has been in development for 12 months and is part of RTE director-general Noel Curran’s six-point plan to update the broadcaster. Head of children’s programming Shiela deCourcy was charged with the implementation of a three-year strategy. The first fruits of her labours are now being enjoyed by tots and teens up and down the country. 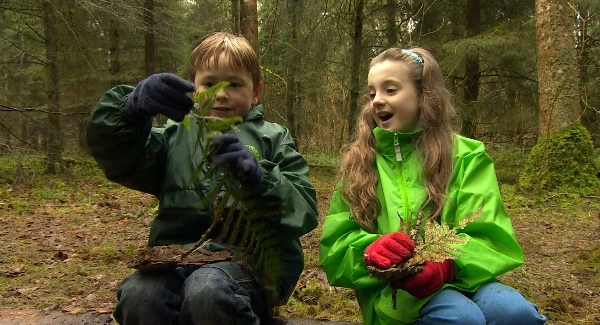 One of the simplest and yet most enjoyable new shows is Forest Force which each week sees four children undertake a forest challenge which aims to teach them a respect for the forest environment and a broad range of skills such as compass reading, bark-boat building and bug hunting. In many ways Forest Force reflects the ethos of interactivity, activity, learning and discovery that deCourcy and RTEjr are trying to promote.